Whether a physical barrier, an idea, a political symbol, or a set of policies, a border is an experience we all share. This exhibition showcases art on the subject of borders from the Phyllis and Ross Escalette Permanent Collection of Art. Geographically, these works were all created in proximity to the border California and Arizona share with Mexico. More abstractly though, these works ask us to consider a border not just as a barrier or disruption but as a point of contact that co-exists within the flow of an environment and its human, animal, and plant populations. 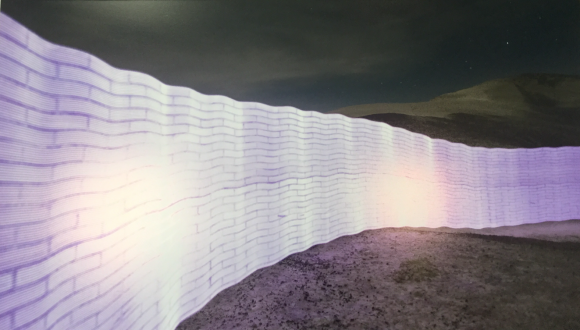 This exhibit is a part of the university-wide focus on the topic of borders. During the semester of Fall 2019, there will be events featuring leading figures from different Schools and Colleges, to encourage the campus and surrounding communities to consider a variety of perspectives on this issue. The Leatherby (via the Escalette Collection) and Guggenheim Galleries at Chapman will be devoted to these topics during this period. This will culminate in a forum that will bring leading artists, scholars, and journalists to Chapman University, and then offer a space for student presentations (both poster and in-person). By Engaging students in multidisciplinary examination of this topic, the hope is that students will come away better informed and prepared to be engaged social citizens. This exhibition will take place from May 2 to November 18, 2019. 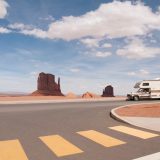 Borders are physical, political and economic entities imposed on landscapes and social structures that continue their own existences. 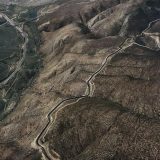 The continuity of mountains, rivers, and scrubland becomes startlingly apparent in the poetic aerial landscapes of Mexican photographer Pablo López Luz. 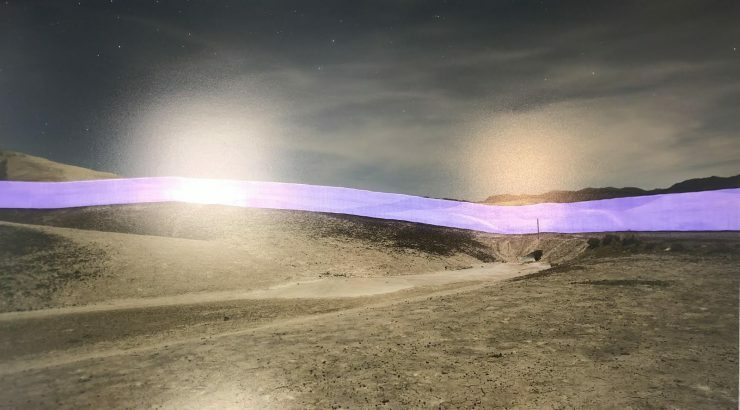 Spanish photographer Janire Najera’s conceptual triptych depicts a shimmering wall that points to the artifice and impermanence of man-made terrestrial divisions. 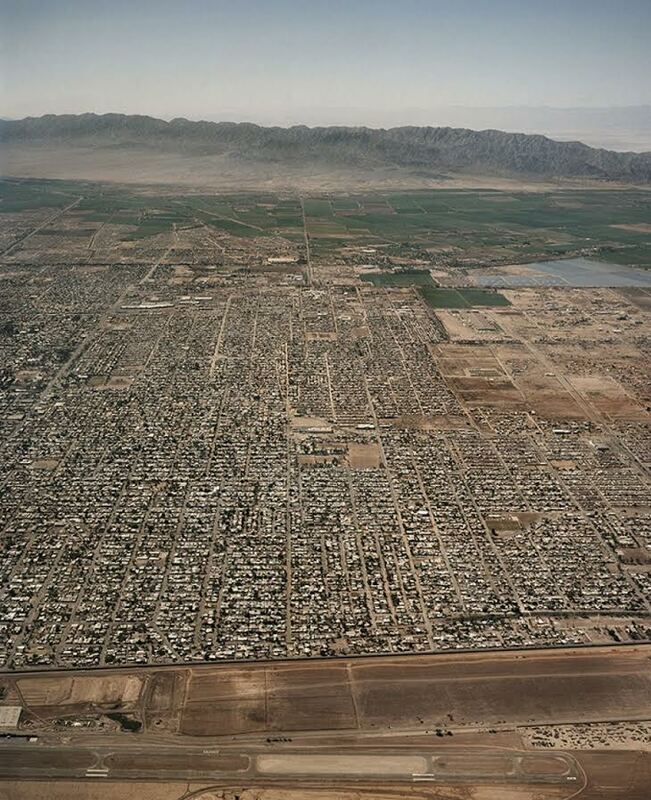 That these divisions create very real disparities is documented through the work of Tom Kiefer, a former custodian for the U.S. Border Patrol. His photographs document the “non-essential” items removed from migrants attempting to cross the border, including clothing, medicines, and children’s toys. 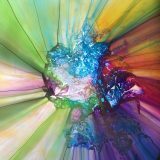 In their focus on the common objects of our existence, these works underscore that borders impact all our lives. 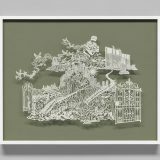 This point is poignantly made through Hong Kong-born artist Bovey Lee’s papercut We are all Mountaineers, which places the experience of child migrants within a historical collage of migration that is the background to all of human existence. Tom Kiefer is an American photographer based in Ajo, Arizona. Between 2003 and 2014 he worked as a custodian for the United States Customs and Border Patrol. The two works on display here belong to the series El Sueño Americano (The American Dream,) an ongoing body of work that emerged from that experience. El Sueño Americano is an extended photographic essay that documents the confiscated personal belongings of migrants apprehended by Border Patrol agents. 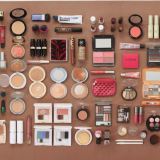 The tightly-photographed, evenly-lit artifacts—make-up, bibles, toothpaste, baby food, toys, soap, water bottles, soap and shoes—attest both to pain and to a sense of possibility. Janire Najera is a documentary photographer and multi-media artist based in Cardiff, Wales. Her multi-disciplinary project Moving Forward, Looking Back, documenting the lives of the descendants of early Spanish settlers on the Old Spanish Trail between New Mexico and California, was featured at Chapman in 2017. The triptych displayed here was created while Najera was a Scholar-in-Residence funded through a grant from the European Union. While Travelling Light is more conceptual than her earlier portraiture, the work is still rooted in her concerns with place, heritage, and history. 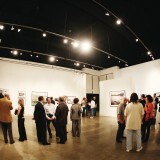 The grant Najera received was designed to introduce the perspectives of European-based artists to the Chapman community. Travelling Light is a commentary on the fact that we all, ultimately, come from elsewhere. Born in Mexico City, López Luz completed studies at Universidad Iberoamericana, and NYU. 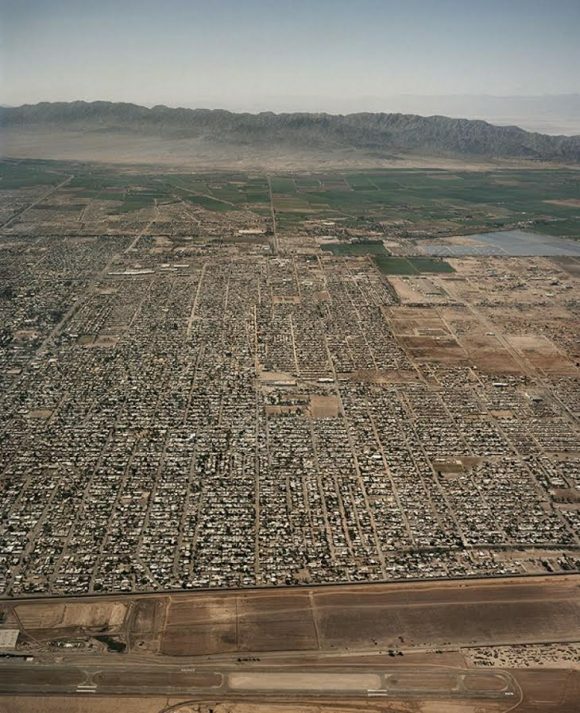 For this photographer, the border is a narrative, rather than an object. It is an aggregation of stories—tales of expansion, aspiration, dreams and wounds. These two works are from his Frontera project, a series shot during the winter of 2014 and the summer of 2015 in the territory along the border between San Diego (Tijuana) and El Paso (Ciudad Juarez). 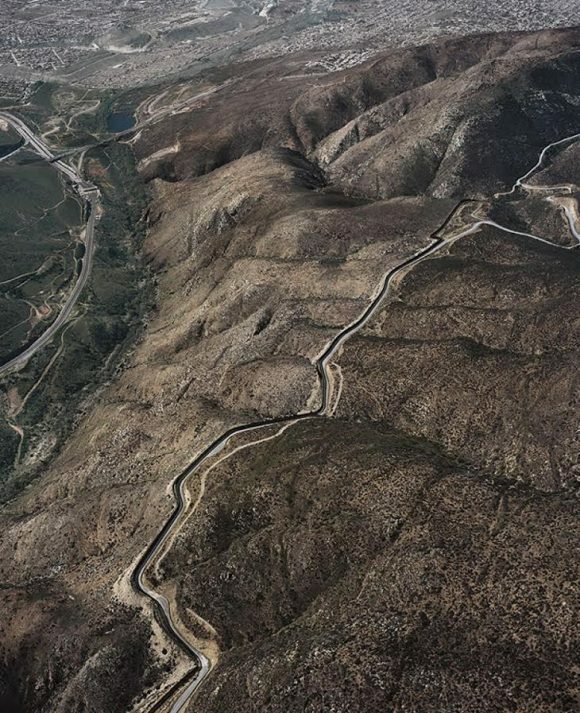 These photographs, shot on helicopter flights that spanned 1,295 miles, are intended to disrupt the dominant narrative of the border as a zone of contention, and emphasize its nature as common ground. 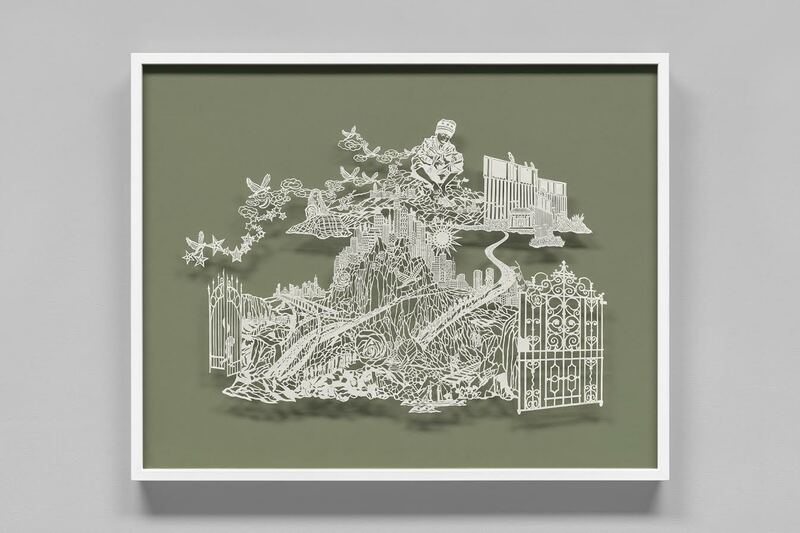 Hong Kong-born artist Bovey Lee creates intricate papercuts whose subtlety comments on such defining aspects of our experience as home, love, place and migration. 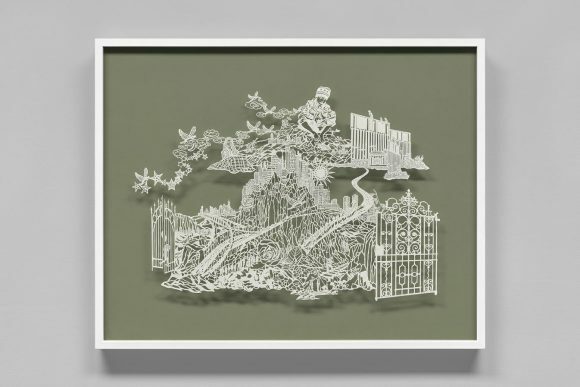 Trained in fine art as well as computer graphics, Lee brings the centuries-old Chinese folk tradition of papercutting into the realm of contemporary art. Her work, created first as a template with computer software, then handcut from xuan silk-backed rice paper, is both socially astute and ethereal. Her series We Are All Mountaineers, with its motifs of gates, walls, waves and steep pathways, captures both the difficulty and the tenacity of the immigrant experience. We Are All Mountaineers measures hopes, dreams and disillusions against the ideal described in President Reagan’s 1989 farewell speech to the nation, casting America as a shining city whose walls had doors for those with the will and heart to enter.